A perfect finish of any stone surface cannot be successful without appropriate accessories. 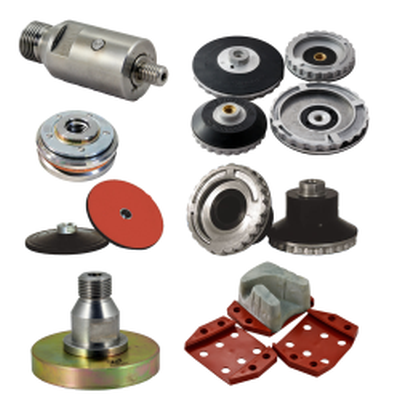 Fortunately, our grinding wheels and diamond tools manufacturing company is also a supplier of a huge variety of chemicals and accessories for stone and gilding. Do not hesitate to see the catalogue below and select an equipment that will make your stone stand out among the crowd! Firm grip on a tool ensures precision and safety. Handles in our offer can be used in most of tools available on the market. They ensure stable, safe and precise work. Cutting and polishing a stone is not all when it comes to expert stonemason service. You have to also make sure that your material is properly sealed and maintained and that’s when special chemical come into play. 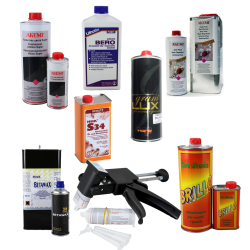 The variety of chemicals in our offer will ensure that the finished product will stay beautiful for years. 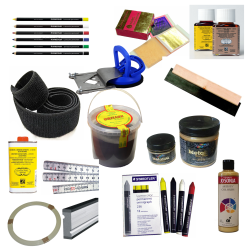 Aside from the main focus of our trade – tools for stone cutting, polishing and finishing – we also offer a huge variety of accessories needed not only in stonemasonry, but also in gilding process.